“The Internet’s just like plain old telephone service”. In essence, this is the argument the Electronic Frontier Foundation made in a letter to the Federal Communications Commission (FCC) as part of the FCC’s Restoring Internet Freedom rulemaking proceeding. The letter, signed by 190 Internet fans, is either disingenuous or inexcusably uninformed. EFF insists that Internet and POTS are substantially the same because both networks connect endpoints, both networks relay through intermediate devices, and the paths through their respective intermediate devices are all somewhat dynamic. EFF alleges that because both networks exhibit these specific similarities, the only way to guarantee an open Internet is to apply Title II of the Communications Act (the portion created for POTS) to Internet service providers instead of Title I, the part created for information networks. Because EFF endorses Title II as the basis for Open Internet rules, I believe my summary of its argument is fair and not simply a strawman. This sounds ridiculous to techies, but the letter does betray a basic lack of insight about what the Internet actually is and why it’s not a telephone network. Does the Internet Have the same Architecture and Function as POTS? EFF says “Yes, it does”. For this argument to succeed, EFF would need to show that the Internet has the same basic structure as POTS. More specifically it would have to show that Internet Service is unambiguously a telecommunications service that provides nothing more than Internet Protocol transmission as a substitute for telephone transmission. In technical terms, EFF’s argument rests on its ability to show that the last 40 years of global and domestic approbations about the exceptionalism of the Internet over POTS are hogwash. I don’t believe EFF succeeds on either count. In fact, I don’t believe that any existing service definition on the books accurately captures the services the regulators say they want to control with open Internet/net neutrality regulations. But that’s a blog for another day. If I had to choose a regulatory classification for broadband information services on purely technical grounds, I’d go with the Title I Information Service classification . I select this option because I believe it was meant to apply across the entire end-to-end scope of information networks, including Internet service provider networks as well as edge service provider networks. If EFF’s general approach is a sound regulatory idea, it appears that UPS, United Airlines, and the city bus line should also be regulated under Title II of the Communications Act. Because, you see, their networks bear superficial similarities to POTS as well. But that’s ridiculous as well. EFF argues that the Internet is just like POTS because of the way the Internet handles routing (I(D)(2, “Internet Routing’s Similarities to Telephone Call Routing”), page 10-11). Their proof of this conclusion is the fact that both systems currently employ dynamic routing of some sort. EFF bases this claim on a ten year old short journal article on the histories of POTS and Internet routing: Deep Medhi, “Routing Management in the PSTN and Internet: A Historical Perspective”, 15 Journal of Network and Systems Management, 1 (2007). DNHR is the first implemented dynamic routing scheme. It was developed by AT&T and was deployed in AT&T’s long-distance telephone network in 1984; it was later retired in 1991 when [Real-Time Network Routing] RTNR was deployed. This is an interesting historical tidbit because it shows the Internet deployed dynamic routing before the telephone network did. The Internet – defined as a public or semi-public TCP/IP network – was first deployed in the 1970s over ARPANET. It was dynamically routed from the beginning. A limited form of dynamic routing was added to POTS nearly 100 years after telephone service was initially deployed. POTS is still not fully dynamic in the sense that the Internet has been from the beginning. And when telephone network regulations were drafted, POTS was a hierarchical rather than a dynamic system. But the static vs. dynamic routing issue is less important than much larger technical differences between POTS and the Internet. POTS routing is “stateful” while Internet routing is “stateless”; the two networks are built on entirely different technologies from top to bottom. But the term “routing” doesn’t mean the same thing for the Internet as it does for POTS. The Internet is a packet-switched network, but POTS is circuit-switched. This difference explains why the term “routing” means something very different in the Internet context than in the POTS context. While the Internet routes packets, POTS routes telephone calls, as EFF recognizes in titling their discussion with the term “telephone call routing”. The Internet’s basic protocol, the Internet Protocol ( IP ), is an example of a stateless interaction. Each packet travels entirely on its own without reference to any other packet. When you request a Web page from a Web site, the request travels in one or more packets, each independent of the other as far as the Internet Protocol program itself is concerned. 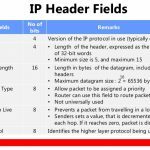 (The upper layer Transmission Control Protocol – TCP – does relate packets to each other, but uses the information within the packet rather than some external information to do this.) The term connectionless is also used to describe communication in which a connection is made and terminated for each message that is sent. IP is connectionless as well as stateless. While each Internet packet is routed dynamically through a packet switched network, POTS approaches routing in a completely different way. Telephone networks are built on circuit switching, a network architecture that goes back to the days when phone calls were connected by a human operator plugging in wires on a board. Since the dawn of the digital telephone network in the 1960s, phone calls have been connected by sending messages from the calling party’s telephone office to the called party’s phone office signaling the desire to connect a call. These call creation signals cause the network to find a route between the two offices and they also reserve bandwidth for the call in each telephone switch along the way. Phone calls need consistent bandwidth at the same rate to have a decent quality signal. Once a call is created, the network guarantees that each digital sample (a bucket of bits that approximates a packet) will follow the same path from end to end as all other samples in the call. And it guarantees that each sample will transit the network at the same rate. The overall technical concern of POTS is preserving call quality, while the Internet is more concerned about speed. POTS accepts very little variation from one unit of information to the next, but the Internet is happy with variation (AKA “jitter”) as long as it means that some messages will be superfast. 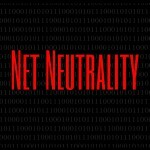 The net neutrality debate is largely about the packet-level resource contention that takes place on the Internet. There is no meaningful analogy to this kind of struggle in POTS. The circuit-switched design of POTS means that resource contention only occurs at the time calls are connected. Call creation reserves network resources, ensuring consistency. It also creates “state” in each POTS switch, reminders of all calls in progress. Hence, POTS relays bits without the need to consult a network-wide routing table the way Internet routers do. This process makes calls slow to connect, easy to maintain, and slow to disconnect. The POTS paradigm limits resource contention to call creation, but the Internet model pushes contention down to the packet level. This means that packets contend for resources every time they’re relayed by an Internet router. EFF claims Internet routers’ “sole job is to send packets one step closer to their destination”, but neglects to say that that even this job requires routers to mediate conflicting demands thousands of times a second. The Internet is more flexible than POTS and therefore demands a different and more permissive regulatory approach. The Internet does have a feature that’s something like a circuit-switched call, the so-called “virtual circuits” managed by TCP. But TCP virtual circuits are managed entirely by software under the control of Internet users and running on their equipment. Routers control packet-level resource contention in IP, but POTS is designed in such a way that there is no resource contention after calls are created. So it’s misleading to claim that Internet routing is pretty much the same as POTS routing. For EFF to claim POTS routing and IP routing are pretty much the same is like claiming that there’s no real difference between TCP and IP. TCP, like POTS, is about circuits; but IP is about packets, the Internet’s real currency. Users control circuit creation in TCP, while the network controls it in POTS. This fact has major regulatory implications.There is an interesting exception to stateless routing in the Internet, however. The Internet includes a protocol called Integrated Services (IntServ) that was designed to make phone calls work over the Internet. (Fred Baker talks about IntServ in our podcast.) IntServ is used today in LTE networks for, you guessed it, phone calls. Like POTS, IntServ is stateful, reserving resources at each router and securing a fixed route through the Internet for each call. Like TCP, IntServ illustrates the fact that the POTS model can be added to the Internet but is not essential to it. EFF builds on faulty use of the term “routing” in another section of its comment, III(B) “The NPRM Displays a Disturbing Lack of Knowledge of How Data is Routed on the Internet (and in the Telephone Network)”. This part attacks the FCC for accepting the accuracy of the Stevens Report, hence it bashes two FCCs in one go. …Internet service providers do not appear to offer ‘telecommunications,’ i.e., ‘the transmission, between or among points specified by the user, of information of the user’s choosing, without change in the form or content of the information as sent and received,’ to their users. For one, broadband Internet users do not typically specify the ‘points’ between and among which information is sent online. Instead, routing decisions are based on the architecture of the network, not on consumers’ instructions, and consumers are often unaware of where online content is stored. The distinction the Stevens Report is making is between basic mission of POTS vs. that of the Internet, with a secondary observation about the way the Internet works. POTS is about connecting people to people for the purpose of conversation. Over the years, additional capabilities were added to POTS such as limited information retrieval, fax transmission, and communicating computer-to-computer via modem, but these other modes of interaction have had to conform to the conversation model. They also tend to be regulated as Information Services rather than as telephone services. POTS bandwidth is limited to the 3 KHz needed for voice, and when a speaker is silent there’s no saving unused bandwidth for future use; it’s use it or lose it. Telephone calls are connected from one handset to another, or from one device that looks like a handset to the network as modems do. So POTS is a network designed for conversation that has been extended to slightly different forms of communication that can attach to the POTS network as if they were telephone handsets engaged in conversation. The Internet serves a fundamentally different purpose than POTS, especially now that it’s dominated by web applications. Users of the web want the network to connect them with specific items of information, such as pages, social networks, and entertainment. Hence, the person-to-person, conversational style of interaction has given way to a person-to-web site form of interaction. We may use social networks to communicate with other people, but it’s very different style of communication than the one that typifies POTS. With this new form of interaction come new forms of routing and transmission. POTS “routing” is really connecting a phone call. Internet routing is something that happens tens of thousands of times for an information transaction that could only create a single “call routing” event for POTS. When the Internet routes a packet, it can hit 10 – 20 routers as the packet traverses from source to destination. But once a call is established for POTS, the path is static for the duration. 2) Because the Internet user is interested in information, both the location and the specific identity of the copy the user accesses are unimportant; for the POTS user, the location of the other party is unimportant but their identity is very important. There are many copies of the web pages, documents, and chat sessions the Internet retrieves, but there is only one human for a POTS conversation. We can accelerate the web through CDNs that place copies of information closer to consumers, but we can only improve call quality by managing network traffic flows, reducing contention, and increasing bandwidth. There is actually a very fundamental difference between placing a phone call and accessing a web page quite apart from the architecture of the network. The user qualifies as a single point in the legal definition of a Title II service, but there is no corresponding point in the Internet. The information we seek from the web is distinct from its mode of transfer. A phone number is similar to an IP address in the sense that it must be globally unique. And like a phone number (something that stands for a device), an IP address stands for a point of attachment to the Internet. But how that connection is made and how information is exchanged differ greatly in each transaction. Internet users don’t connect to an IP address, it’s a pass-through to a final destination . We actually connect to services and information behind the IP address. And while a phone call is connected by the telephone network between two devices, a TCP virtual circuit is connected by one user’s software to another user’s software without ISP intervention. On the Internet, we all act as our own phone companies in the sense of making – or refusing to make – connections. Therefore, to apply Title II to the Internet is not just to regulate ISPS, it is to regulate users and services as well. And regulating Google as if it were a communication utility is clearly not the intention of the Communications Act. Saying that Internet users do not specify the points to which information is sent online is like saying that telephone users do not specify the phone they want their call sent to when they dial a phone number. As explained in Section I.D.2, both the Internet and the telephone network make use of dynamic routing based on the architecture of the network. Further, in both networks the customer is often unaware of where the endpoint is actually located—particularly in mobile networks, where a phone customer may have absolutely no way of knowing, a priori, even what country a mobile phone might be located in. Title II is about the classical POTS network, not the mobile phone network; Title III covers wireless communication. Hence, it’s not legitimate to argue that the Internet belongs to Title II because it displays characteristics of Title III devices; but EFF does it anyway. Thus, this interpretation of what it means to transmit information between or among points specified by the user, i.e. that the user must explicitly tell the network what routing decisions to take, has no basis in reality. 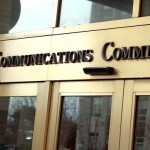 Taken to its logical conclusion, it would require the FCC to similarly decide that telephone services are also not telecommunications services—an obviously absurd conclusion. We don’t have to tell POTS anything about routing, we simply provide it with a number that uniquely identifies a device. In traditional POTS terminology, call creation is called “routing”. This use of the term “routing” creates confusion in understanding the role of DNS in the Internet. One the one hand, advocates of treating ISPs as Title II carriers compare DNS to directory service, and on the other hand they also treat it as a network management function that makes the network more efficient. KEISLER: Well, I think Your Honor is right, that obviously it can’t be if someone else is providing it, but what follows from that? We certainly would not let a third party manage our telecommunications network, and so our point is that if customers can choose a third party to provide exactly the same function in connection with exactly the same service, and it’s not management when a third party does it, it can’t be management when we do it, either. JUDGE SRINIVASAN: — and now if a third party comes along and says, you know, I’ve got a better directory service, better directory assistance program because I’ve done stuff that makes it faster, I’ve got a better list, what have you, and then they came up with that as a competitor and say call my line instead to get directory assistance, it seems to me what would have happened is, although maybe it’s not borne out historically, that that would have been deemed an enhanced service, or information service, but the fact that the phone company had its own directory assistance wouldn’t preclude there from being that dichotomy. If in fact the function of DNS were simply to help broadband networks make basic connections to web sites and streaming services, it could easily be subsumed in the historical notion of directory service. A telephone network without a directory that maps names to numbers isn’t very useful because POTS is all about the customer at number X calling the customer at number Y. But DNS is more than a directory service. It’s a general purpose database that networks not managed by an ISP can use to make their internal operations more efficient and to enable customers to retrieve information. DNS doesn’t support the transmission function as much as it supports an information storage and retrieval function. DNS does more for Netflix than it does for Comcast. SALLET: DNS is a routing function, it helps move traffic to the destination intended by the consumer; caching is storing of preexisting content, no original creation of content, in a way that also facilitates routing, and that allows the network, for example, to allow costs that would be incurred if it had to go to a further distance to get that preexisting content, both, therefore, fall easily within the telecommunications management exception. DNS certainly does support call creation in the same way that directory service does for POTS. But it does not move IP packets from source to destination, nor does it help move them. Packet transmission is the job of IP, and mapping the Internet for IP is the job of BGP, not DNS. But DNS does more than support call creation, and its additional functions are not in support of ISP network management. To the extent that DNS is a tool to be used by Netflix and similar firms to connect customers to content, it’s a Title I information service that helps services find information for their customers. And insofar as DNS is part of the bundle of services offered by ISPs to their customers, that bundle is more than simple transmission between IP addresses of the customer’s choosing. However, as explained in Section II.C., ISP-provided DNS is by no means necessary, and ISPs are often not the best at providing the service. Users can and do change their DNS provider to lower round-trip latency and thereby have faster overall Internet service. The footnote goes to a blog post that compares the latency of several third party DNSs to each other; in no way does it support the claim that any third party DNS makes traffic move faster through the Internet overall. Again, EFF is attempting to capitalize on the fact that the term “routing” is used in descriptions of POTS call creation and Internet packet transmission to mean utterly different things. We believe that consumers want and pay for these functionalities that go beyond mere transmission—and that they have come to expect them as part and parcel of broadband Internet access service. We seek comment on our analysis. The NPRM is correct that consumers want and pay for these functionalities, i.e. routing. But the NPRM is incorrect when it says that routing is not part of mere transmission. To say that making routing decisions is not a necessary requirement for “mere transmission” implies the FCC is still living in a world where people dial a phone number by verbally asking an operator to connect them to a specific line. No modern telecommunications network, be it the PSTN or the Internet, requires (or could conceivably require) an end-point (including a BIAS customer) to know the details of how the network is laid out. Simply put, customers expect their ISP to route their traffic as “part and parcel of broadband Internet access service” because it is a necessary functionality for the transmission of data in any modern network. An Internet service consists of basic transmission as well as access to information. The line between these two functionalities is subtle and can easily be confused. We know that dialup ISPs have always been treated as Title I information services even though the networks to which their modems attach – POTS – have always been treated as Title II services. So the question the FCC is asking is what happens to the Title I part of traditional ISP service when POTS gives way to broadband. One answer to this question is to delineate the role of broadband transmission to the scope of transmission between the customer premises and the ISP premises. This matches the role played by Title II in connection with dialup ISPs. There is no routing between an Internet user’s cable modem or smartphone and the ISPs property. This is nothing but a Link Layer network connection identified by Layer Two medium access control (MAC) addresses. The Internet Service per se is carried out in equipment residing at the ISP offices. 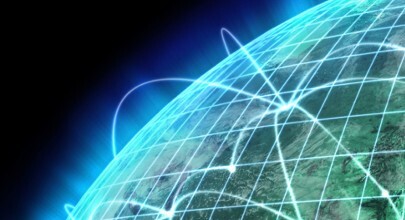 The ISP’s equipment routes information dynamically between its network and the rest of the Internet according to BGP route exchange and network management. BGP doesn’t propagate routes to our homes. The EFF is forced to acknowledge that today’s telephone network bears little resemblance to the POTS networks of the ‘30s or even of the ‘90s. Mobile phones require massive network intelligence to support consumer traffic, whereas, the “routing” to telephone numbers that represent wires is simpler than routing to portable numbers on foreign networks. Modern directory service isn’t much like picking up the phone and asking Ernestine the Operator for a number either. It strikes me as reasonable to consider the question of how well the statutory definition of POTS in Title II of the Communications Act even applies to modern telephone networks. Some of us have been seeking an update to the Act for a while now because it’s so out-of-date and ambiguous.